In January we attended the Boat show in Dusseldorf, Germany. The Boat is the largest exhibition for water sports in Europe and held annually. It is a gigantic exhibition with 250,000 visitors from 90 countries, 18 themed areas and almost 2000 exhibitors. You can find the latest motor and sailing yachts, dive centers from all over the world, scuba diving equipment manufacturers and all the latest gear. 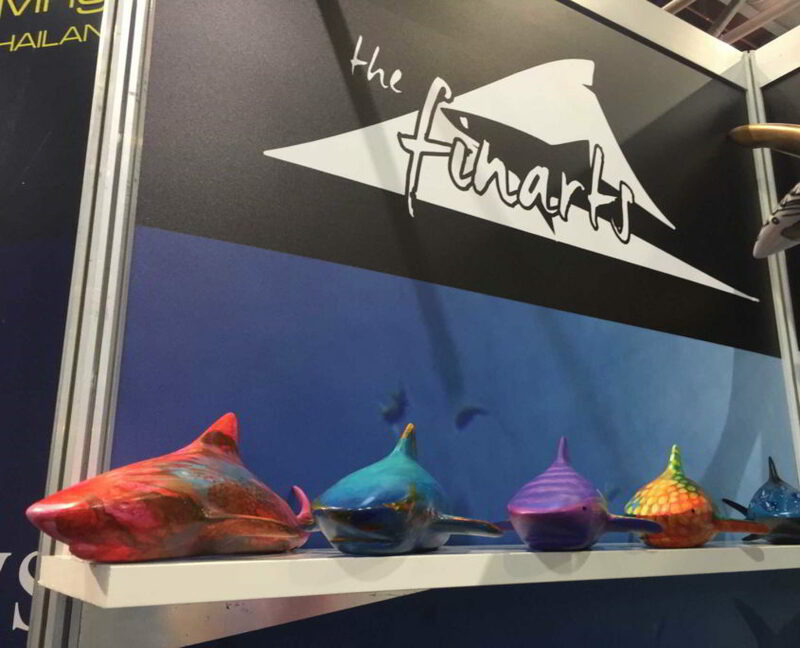 The FinArts was present with a small booth as well and we used this opportunity to present our concept of combining art and shark conservation for the first time. The response was unanimously positive. People loved our shark art and we got to rub shoulders and receive feedback from some of the biggest names in scuba diving and shark conservation.